Sure, I’ve been told I can’t say this. I’ve been told I’m practicing an Eastern religion, that yoga isn’t Christian enough, that yoga “distracts me from God,” or that it may become “idol worship.” Duly noted. I am a yogi. And I love it. I find Jesus on my mat, and I don’t think that’s crazy at all. Yoga is exciting to me. Every day is a new challenge, a new asana (pose), and a new intensive workout. I struggle on my mat. I fall, I get back up, I fall again. I work on the same pose for months and months, falling on my face, back, and other places I find can be sore the next day even when I didn’t know they existed before. I find triumph, victory, and success in little things that never mattered to me before. I remember the first time I nailed an arm balance. I felt light as a feather; I felt unrestrained. I was captivated. How can someone who felt so weak feel so strong here? In church, I hear a lot about finding Jesus. “Where can you find Him? was a common question asked in Sunday school. People often throw out options like prayer rooms, closets, church, Wednesday night in the fellowship hall, community groups, and more. I believe in the power of these moments, and we can–and should–find Jesus in these places. 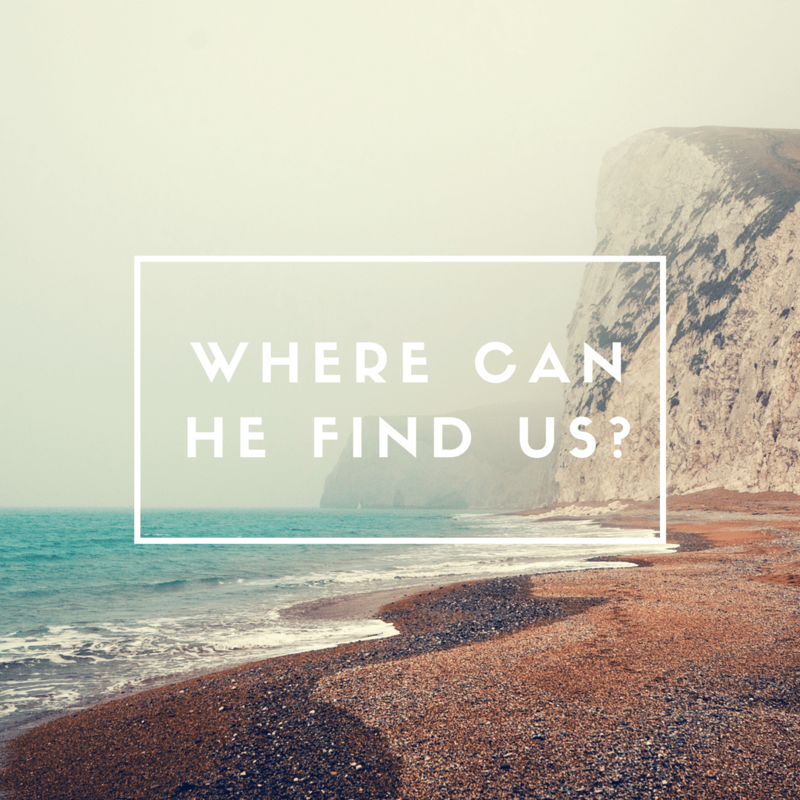 Where can I find Jesus? It’s an important question. But perhaps just as important; “Where can he find me? Jesus has important things to teach all of us – I’m learning more and more each day as I set aside time to get sweaty and try new things on my mat. There, I find that faith–just like on the mat–is sometimes about falling down but always about getting back up. Faith is also about persevering; about sticking it out when we don’t see the results we hope for. Faith is about encouraging; both ourselves and others. And faith is about trusting in the truth that if we do not give up, there is reward in the end. Faith is not reserved for “church time.” Faith can grow in us when we are on a mat, or when we are involved in any one of a number of passions. No longer do I feel guilty about my passion, because God can reach me there. Yes, some call Yoga an Eastern religion. And for some, it may be. But not for me. On the mat, I’m learning to have faith that God can reach me there and teach me His powerful truths about trusting Him as I push myself to try new things. In fact, sometimes God reaches me more deeply because I’m so focused on an activity which challenges me. So where does He find us? Where can He teach us? Anywhere. Maybe it’s crafting, drawing, running, working out, cooking, writing music, sports; or just connecting with our families. The honest truth is that God can find us anywhere. Jesus has things to teach us in all of our “life” moments. Today, I’m getting ready to workout. I plan to attempt my billionth handstand, and will likely fall flat on my back. I wonder what He has to say to me today? I’ll tell you one thing, however. No matter what He has to teach me today . . . He knows where to find me.